Reuters has a good article on WiMAX, the 4G wireless broadband network that's currently being set up in a bunch of Podunk mid-level cities across America by Sprint. The gist of the article is about how WiMAX has the attention of the music industry, and they've got dreams of people downloading songs on the go quickly, watching fast, streaming videos on their phones, and all sorts of other money-making schemes. 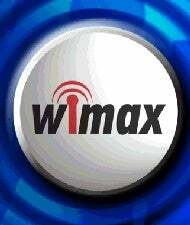 WiMAX promises faster speeds for less money, at least once the network is up and running, and content providers such as record labels and video sites are already gearing up to take full advantage. It makes sense, as the walled garden of cellphone software will make developing a BitTorrent client for mobile phones relatively difficult, so the music industry might have just found a medium where they'll be somewhat safe from piracy. EMI already told us that they have big plans for mobile downloading, so it's safe to say the rest of the labels are in the same boat. Look for a huge mobile downloading push to be coming in the next couple of years, as we all know that these guys don't mess around when they see money up for grabs.